Manchester District Music Archive is proud to launch a new digital exhibition created in partnership with the University of Manchester Students’ Union. 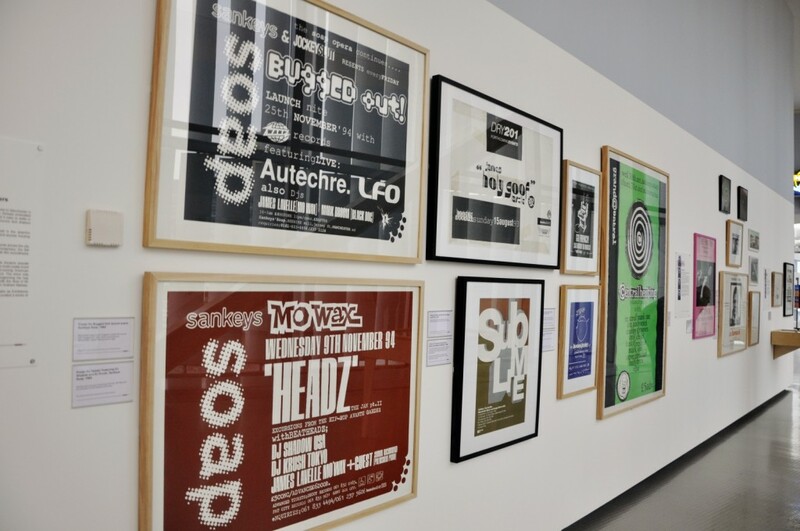 The exhibition, Manchester Academy Memories, documents the history of concerts and club life at the Students’ Union from 1963 to the present day and has been curated by Abigail Ward (MDMA) and Rod Connolly. It features 435 digitised artefacts relating to artists such as Jimi Hendrix, David Bowie, The Slits, Daft Punk, Björk, Nirvana, The Kinks, Adele, Prince and Led Zeppelin. Many of these items, which include tickets, photos, press articles and videos, have been uploaded to the archive by the general public. “When entering for the first time a town like Manchester, a stranger, overwhelmed by the new and interesting spectacle presented to him, scarcely dares look this giant full in the face at once…” From “Ireland, Scotland and England” by J.G.Kohl, 1844. This was how it would start. For my sister and I, aged thirteen and fifteen respectively, the first hurdle to be cleared after seeing an enticing Manchester Academy gig advertised in Melody Maker was persuading our dad to give us a lift. We lived in Preston and were a bit young for the perils of the last train home. We’d been very focused on music since being toddlers, really, but in 1992 things moved up a gear after we experienced our first big gigs: Michael Jackson at Wembley and James at Alton Towers. 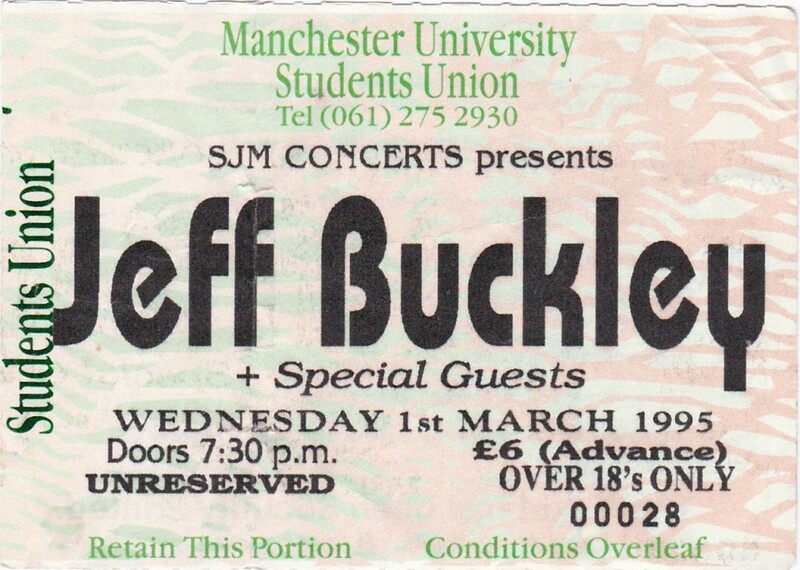 By 1993 we were in full throttle, obsessed with live music and constantly hatching schemes to witness our heroes play, more often than not at the Academy or one of its smaller sister venues in Manchester University Students’ Union. All I wanted to do was move to Manchester – the music city. By ‘94 I’d managed to move out of my parents’ house and by ‘95 my sister and I had our own band. Three years later, I achieved my ultimate dream: a council flat in sunny Longsight, a mere skip and a jump from the Academy. I started working in a record shop. Listening, playing, watching, selling. I had landed. During the nineties, I saw some unforgettable gigs at Academy venues, including Manic Street Preachers, Jeff Buckley, PJ Harvey, Tricky and Pulp. (It killed me that I couldn’t get into Bowie in ‘97.) These were potent moments in my young life – euphoric, boozy, full of mystery. I would scrutinise the mix, the drums, guitar pedals, mics, keen to learn how it all worked. Gigs were physically demanding at times (especially at the Academy), and not without the occasional pang of sadness. I can still see Richey Edwards at the Academy in ‘94, rail-thin and scabby, hanging over his microphone stand like James Dean in Giant, not even pretending to play guitar any more. I saved all of my tickets, many of which feature in this digital exhibition, which has been an absolute joy to curate. 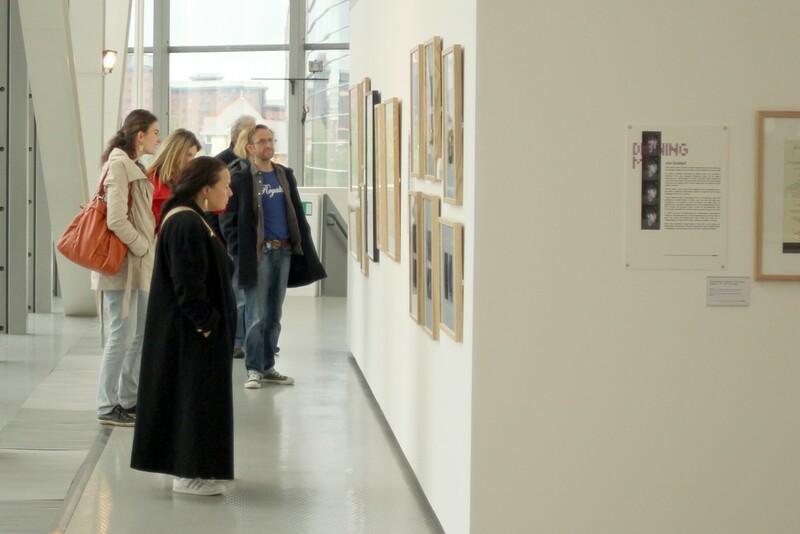 Funded by the University of Manchester Students’ Union, the project was conceived as a way of celebrating the 25th anniversary of Academy 1, whilst exploring the cultural legacy of all of the University venues, from 1963 to the present day. And it’s not just about the big names that have passed through the venues, it’s about the social and political histories that are inextricably entwined with the music. These are particularly evident in the cuttings we’ve included from student newspapers The Manchester Independent and the Mancunion. We hope you enjoy these glimpses into student life across the decades. Whilst I did spend a number of days seeking out material for this project in physical archives, many of the items included have been uploaded by the general public: crowd-sourced heritage in action! Thank you to everyone who has made a contribution. But it was time for a purpose-built venue with a bigger capacity. Costing £1.2 million, the Academy originally housed a bank, a bar and a catering facility. It opened with a capacity of 1500, rising to 2000 soon after. It was run on a commercial basis; profits from band nights and club nights were funnelled back into the Students’ Union. 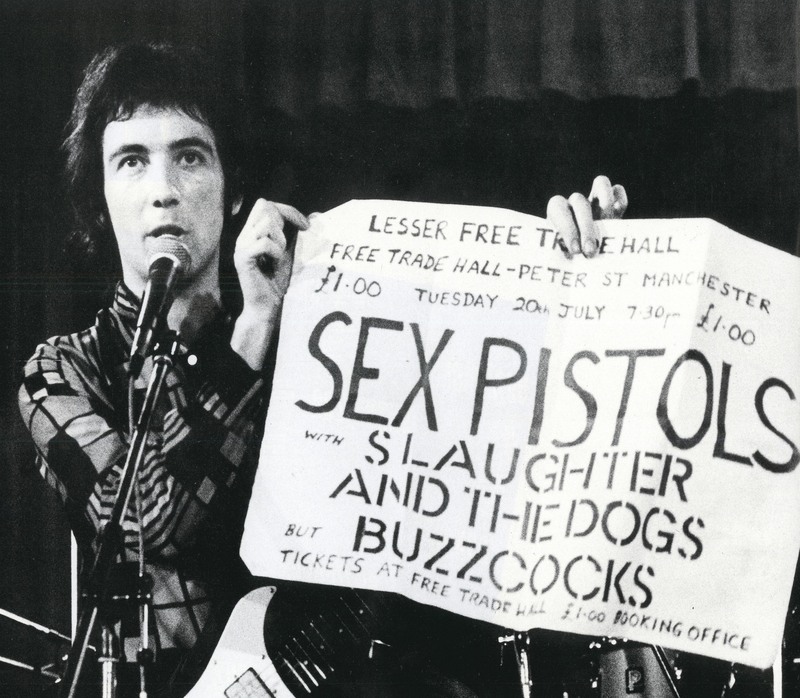 Fittingly, the first musicians to grace the stage were Manchester punk icons Buzzcocks on October 7th 1990. Taken from the Mancunion newspaper, written and edited by University of Manchester students. Some months before the opening, the Union appointed a full-time Entertainments and Marketing Manager, Sean Morgan, who swiftly entered into a partnership with Manchester-based promoters SJM Concerts (founded by Simon Moran), allowing SJM first option on gig dates for local and visiting artists. 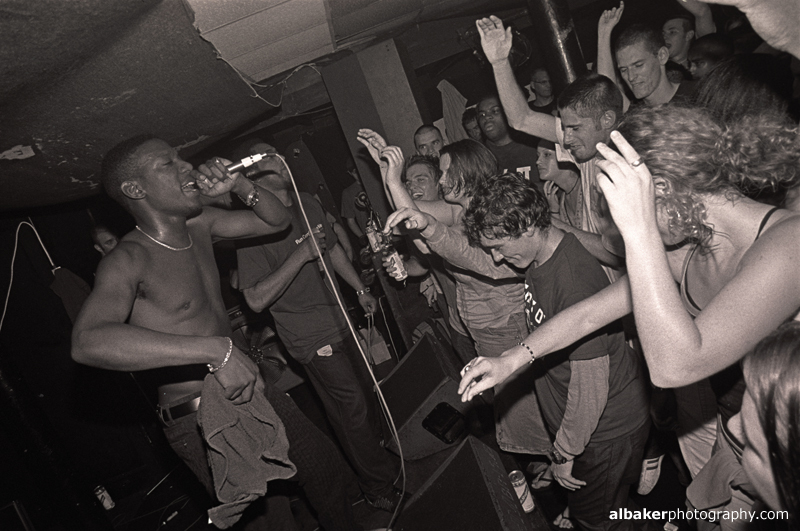 Live music was flourishing nationwide; it was boom time for both parties. During Sean’s 21-year tenure he was responsible for booking some huge names across all four Academy venues, including Nirvana, Radiohead, Dizzee Rascal, Daft Punk, Patti Smith, Blur, Eminem, The Chemical Brothers and Amy Winehouse. 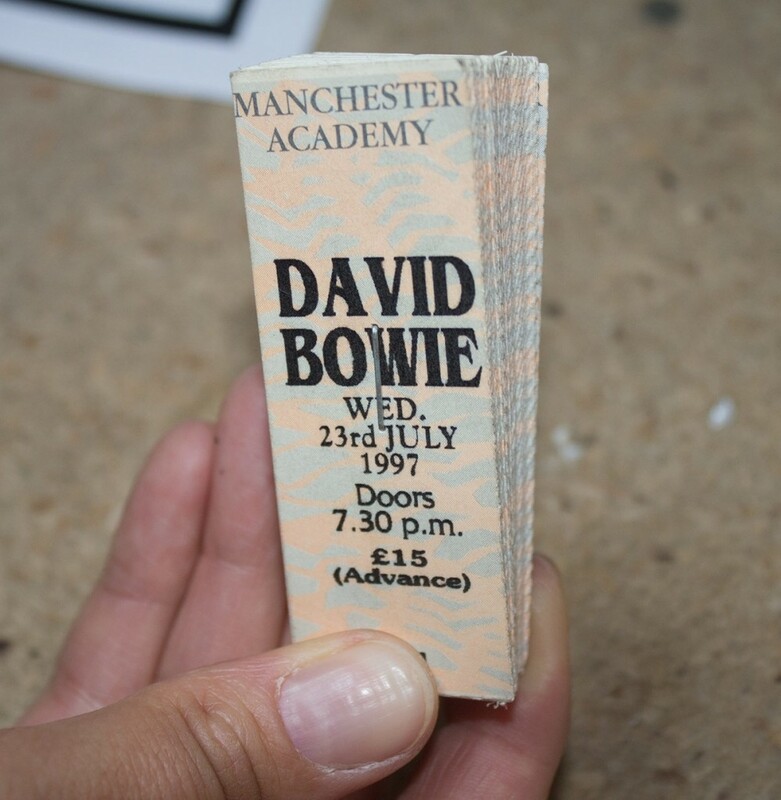 He claims the best gig he ever saw at the Academy was David Bowie in 1997. But Sean’s proudest moments were bringing over his beloved American country stars Townes Van Zandt in 1994 and Scotty Moore (Elvis’s guitarist ) ten years later. Morgan also oversaw scores of successful club nights, citing rave night Solstice ’91, with resident DJ Dave Booth, as the best atmosphere he ever experienced at the Academy. In 2011 Sean left the Union and now works for Academy Music Group (no relation). In September 2013, following further refurbishment, the capacity of Academy 1 was increased to 2,600. The venue celebrated its 25th anniversary with a string of significant gigs throughout 2015-16, including Buzzcocks, Garbage and Happy Mondays. David Bowie ticket book, 1997. Courtesy of Sean Morgan. The Union’s early forays into concert promotion are documented, albeit sketchily, in student newspaper The Manchester Independent. Jazz bandleader Humphrey Lyttleton kicks things off in 1963. A mere two years later Socials Secretary Chris Wright (future co-founder of Chrysalis Records) is booking the likes of the Spencer Davis Group, The Who and The Yardbirds. A Kinks gig at the Rag Ball in March ‘65, however, ends in ‘confusion and brawls’ as the band is bottled off stage. Gig reviews from this period often hint at an element of chaos! Jimi Hendrix stops by in 1967. We’ve included a rarely seen interview with Jimi at the Union by Jill Nichols culled from the Independent. An interesting story featured in this exhibition is that of the Corporation Act 1965 – a law that allowed venues to be closed on the spot by police if they suspected staff or punters were up to no good. 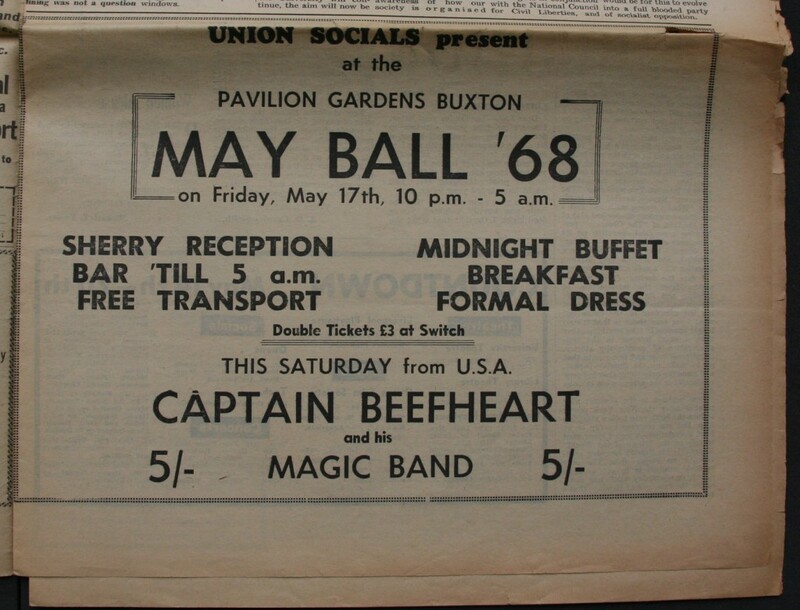 In ‘65 there were around two hundred beat music clubs in Manchester (hard to imagine). They were mainly booze-free members only clubs where young people would drink coffee and dance all night to beat groups. But by the end of ‘66, following the introduction of the act, there were just three clubs remaining. The act was highly unusual in that it was passed by parliament, but applied only to one UK city: Manchester. The city’s music scene was decimated. Moving into the early seventies and one of the most intriguing episodes in the Union’s history begins: The Squat. The Squat was originally the old College of Music. It was situated on Devas Street, between where Big Hands and the Contact Theatre are now. In October of 1973, after the University threatened to demolish the building in favour of a car park, it was occupied by a group of students who were protesting against three things: the student accommodation crisis, the lack of facilities provided by the University for community activities and the proposed demolition of the music college itself. The Squat was turned into a multi-purpose ‘art lab’, with spaces for theatre projects, gigs, band rehearsal and visual art. For a time, the occupation was financed by a weekly music night held on a Friday in collaboration with Music Force, the socialist music agency put together by, amongst others, renowned blues guitarist Victor Brox and jazz drummer Bruce Mitchell (Greasy Bear, Albertos, Durutti Column). Music Force was set up in part as a response to the effects of the Corporation Act, which had resulted in a paucity of work for Manchester’s once very busy musicians. The collective provided everything you might require to put a concert on: musicians, PA and equipment hire, flyposting, the full works. The Squat and Music Force both played vital roles in the Manchester punk and post-punk scenes. During its 8-year life the venue played host to New Order, The Fall, The Stranglers, Alberto Y Lost Trios Paranoias and several Rock Against Racism nights. 1981 was a great year for music, which filtered through to gigs at the Union. Bookings included U2, The Au Pairs, Aswad, The Cramps, Linton Kwesi Johnson and The Beat. Things seem to slow down a little gig-wise in the mid-80s, but the Cellar Disco (now Club Academy) packed the punters in. One exhibition contributor reminisces about doing a disastrous drunken somersault in there to the strains of Caberet Voltaire’s ‘Nag Nag Nag’! 1989 saw visits from indie royalty The Happy Mondays, My Bloody Valentine and Sonic Youth. 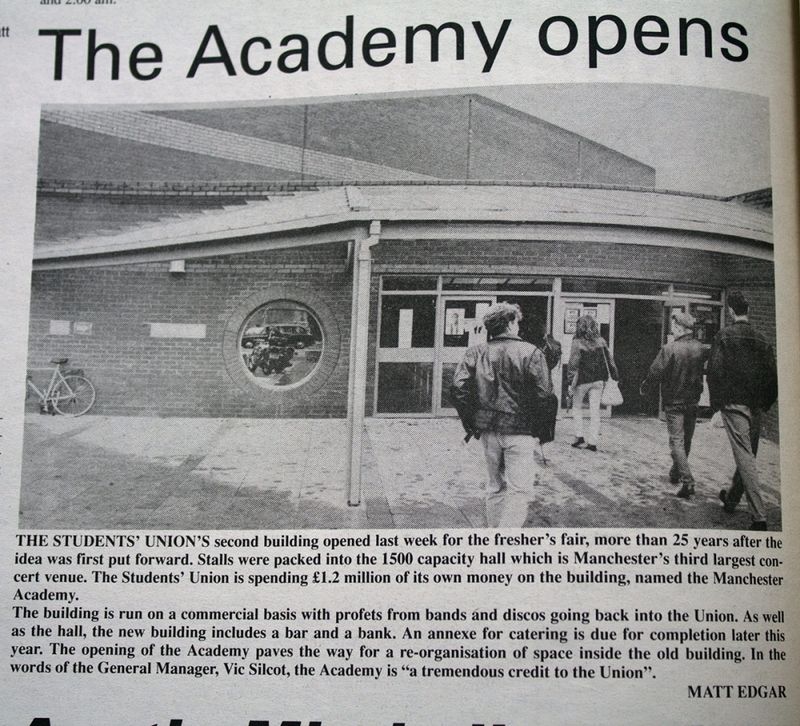 Then in October 1990 the Academy opens and ticket sales go through the roof. 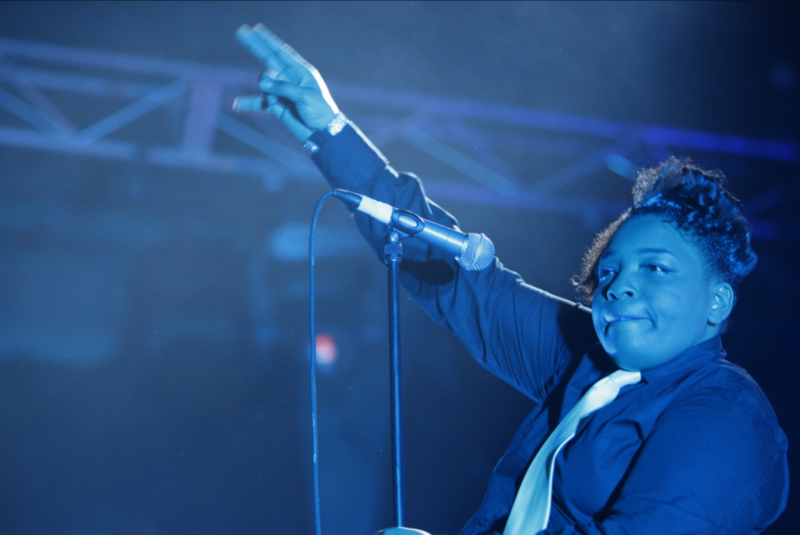 The Charlatans, Northside and New Model Army do two sell-out nights apiece. The LA’s, Paul Weller and Devo also stop by. Which brings us back to where we started. It’s 1993 and I’m getting the breath shoved out of my lungs at my first ever Academy show: Smashing Pumpkins and Verve. Dad is making a pint last four hours over the road at Jabez Clegg. My plan to move to the city is a tiny seed in my fourteen-year-old mind. This digital exhibition is full of great stories from true music fans: in 1968 a young audience member is gifted a harmonica by Captain Beefheart in the Main Debating Hall. In 1992 the drummer from Pavement confuses everyone by handing out carrots to the audience. In 1995 a sixteen-year-old Julian Cope fan gets a full snog with tongues from her hero in the Academy. Around the same time a clubber at Megadog spends the entire night in a toilet cubicle and has the time of her life. This project is dedicated to those fans – to everyone who has taken the time to share a memory; to Manchester District Music Archive’s team of volunteers; and also to my dad, who took me to the Academy in the first place all those years ago. 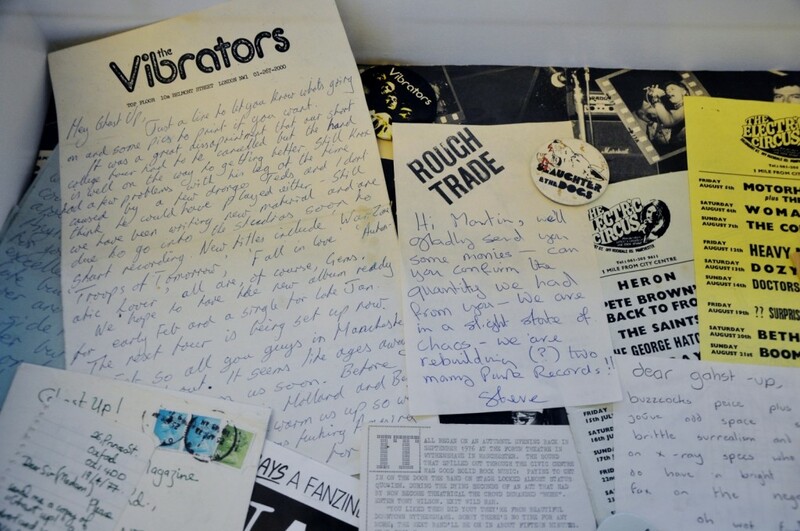 • If you would like to contribute an artefact or story, just upload it to Manchester District Music Archive and we will add it to the exhibition. • Only bands/artists from Greater Manchester are searchable in our database. • If we are unsure of the exact venue the artefact relates to, or if it relates to several Union venues, we have used the tag Manchester University. • Dates added to press articles refer to the publication date rather than the gig date. • Gig ladders are usually dated with the earliest date on the advert. • Due to time and budget constraints many press articles have been photographed quickly, sometime in poor light, rather than scanned. 2-3pm: Gig by A Quiet Loner – the museum’s songwriter in residence. Booking advised but not essential via Eventbrite. Passionate about Manchester music? Interested in hidden histories? Join Manchester District Music Archive for a one-off event exploring fascinating stories from Manchester music’s movers and shakers, told through a series of rarely seen artefacts and materials. Bring along prized items from your own collection and learn how to archive your music heritage online. Archives are closely linked with how we understand history and can be a site for resistance and celebration in challenging how history is defined. Activist / Archivist will explore some of Manchester’s less visible musical histories whilst opening up access to unseen material, including objects from the People’s History Museum’s own archive. It will reveal how music and politics are inextricably linked in our city’s history. 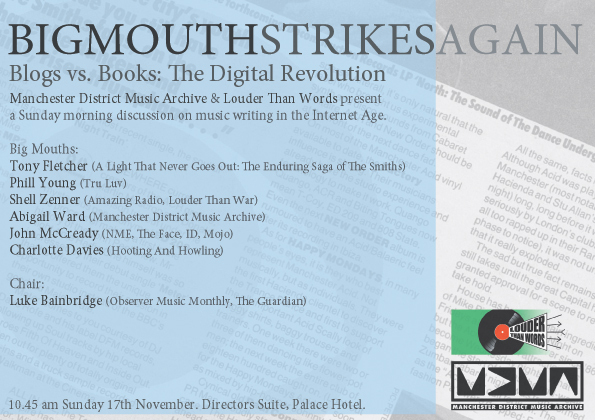 This event will bring together a diverse group of speakers who have helped to shape the landscape of Manchester music. Each guest will that is important to them (such as a photo, flyer, record, instrument or autograph) and tell its story. These items will then be scanned or photographed and uploaded to MDMarchive’s online archive. We are also inviting members of the public to bring along something that is precious to them, which can be scanned and added to the online archive. There will be a room set up for scanning artefacts and uploading them to the archive with volunteers on hand to assist you. Do I have to bring an artefact to attend? There is no requirement to bring artefacts to this event, but if you have anything interesting we’d love to see it! What artefacts can I bring? The only limitation is that it must relate to music in Greater Manchester, involving either bands/artists that are from Greater Manchester, or music events that took place in Greater Manchester. We encourage everyone to bring anything that they think is interesting, ranging from ticket stubs, posters, fanzines and photographs to membership cards, artwork or something more obscure! The purpose of the archive is that MDMarchive’s users decide what is important in Manchester music history. This event is being organised on behalf of MDMarchive by Joe Watson and Rory Cook as part of the University of Manchester’s Researchers In Residence programme. Proud to be part of Manchester Histories Festival 2016. On Friday June 3rd, at the wonderful A QUEER REVUE! at Band on the Wall, I’m going to be doing a FREE talk on LGBT music and club culture in Manchester, marking the launch of Manchester Histories Festival 2016. My talk will explore how queer music culture in Manchester helped to redefine attitudes to sexuality across the city and beyond, featuring rarely seen images and footage courtesy of Manchester District Music Archive. Judas!’ is a shout that has been echoed through music history for half a decade, after a heckler loudly accused Bob Dylan of heresy by ‘going electric’ in 1966. 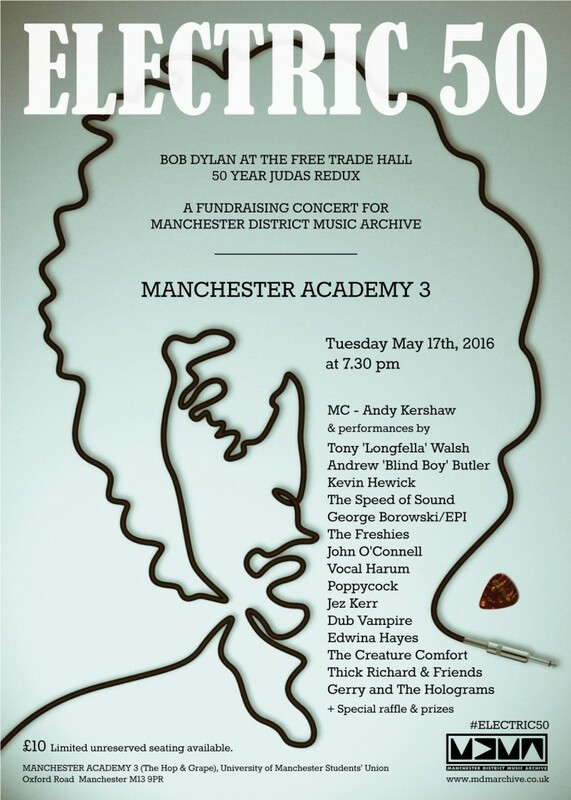 That famous moment at Manchester’s Free Trade Hall is being celebrated 50 years later by a collective of musicians, playing Dylan’s same set list in full, little over a mile away from where the incident took place. Manchester District Music Archive (MDMarchive) is celebrating the anniversary with a fundraising concert, Electric 50, taking place on Tuesday 17th May 2016 at the Academy 3 (Hop and Grape) in Manchester University Students’ Union, Oxford Road. Contributors, including Jez Kerr of A Certain Ratio, Manchester guitar legend George Borowski and BBC 6 Music favouriteThick Richard, will interpret Dylan’s original performance and leave it up to the audience whether to recreate the famous heckle. Electric 50 audiences will also get the chance to walk away with a piece of remarkable memorabilia, with six raffle prizes of Mark Makin, presentation-sized original photographs from the 1966 Free Trade Hall concert itself. Each will be signed by Mark who famously took the only known photos of this historic gig when he was a 15-year-old schoolboy. Broadcaster Andy Kershaw is to compere the show. Andy tracked down and unmasked the heckler who shouted “Judas!” and 32 years after the event revealed him in ‘Ghosts of Electricity’, the award-winning BBC Radio 1documentary. MDMArchive has recently been awarded charitable status and the Electric 50 show, which has been organised by MDMarchive co-founders Dr CP Lee and Dave Rofe and will raise funds for the Archive’s future work. This includes a forthcoming project looking at the history of Music, Politics and Protest in Manchester. Original artwork for the concert has been designed by celebrated Manchester artist Stanley Chow, who designed the branding for Chinese New Year in Manchester, 2016. Archives are closely linked with how we understand history and can be a site for resistance and celebration in challenging how history is defined. Abigail Ward and Sarah Feinstein will speak about how this relates to women’s performance through Manchester District Music Archive. Drawing from selection of artefacts in the user-generated collection, Abigail will showcase women’s agency in the history of music, politics and protest in Greater Manchester. Sarah will discuss how a previous online exhibition curated by Abigail led her to a conversation with ground-breaking feminist artist Linder Sterling. [DWAN] Digital Women’s Archive North is an educational arts and heritage enterprise unlocking the women’s histories in archives – delivering training & skills development; arts & heritage projects; and research. Follow them on Twitter @dwarchivenorth. Manchester District Music Archive is a user-led, volunteer-run online archive established in 2003 to celebrate Greater Manchester music and its social history. Co-founders Alison Surtees and Abigail Ward discuss the development of their groundbreaking project, which allows users to preserve, share and research their own musical heritage through digitised ephemera such as tickets, photos, press articles, posters and video. The talk will chart the rise of MDMArchive; the difficulties encountered; and how these challenges, such as who ‘owns’ heritage and who ‘decides’ what is shown, were overcome through user-generated content. MDMArchive has been at the forefront of developments in community-led digital storytelling for over ten years. This talk will explore why digital environments are important for sharing heritage, destabilising dominant historical narratives and opening up access to archival material for many to enjoy and have ownership of. The Pararchive project explores open access community storytelling and the digital archive. 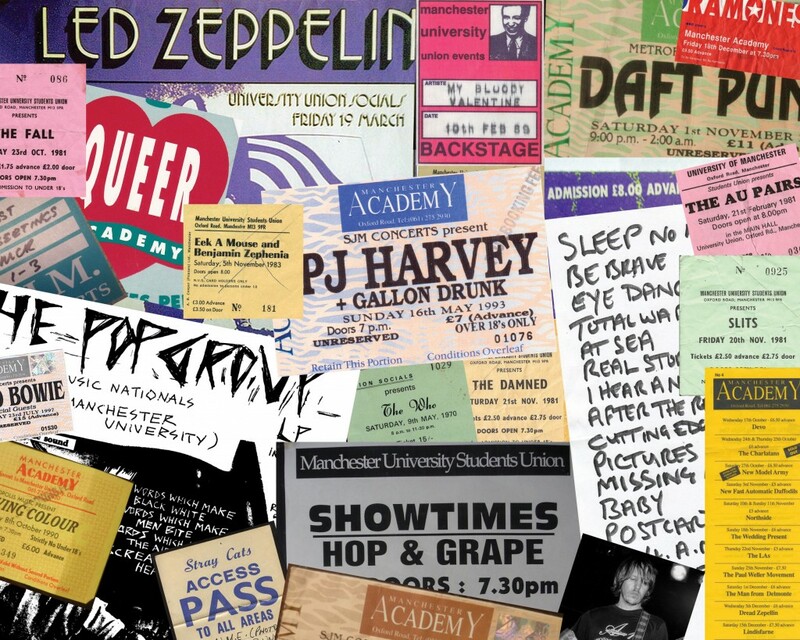 In late 2009 I acquired a small amount of funding to develop ‘Queer Noise’ – an online exhibition for Manchester District Music Archive that aimed to lift the lid on LGBT music-making and club life in Greater Manchester from the sixties to the present day. The exhibition would harness and contextualise scanned ephemera, such as posters, flyers, photos and press articles uploaded to MDMArchive by members of public all over the world, in addition to my own collection of artefacts, which I had been digitising for a number of years. Launched in 2010, ‘Queer Noise’ now contains over two hundred chronologically ordered images and written recollections, and continues to grow as more and more people share their memories. 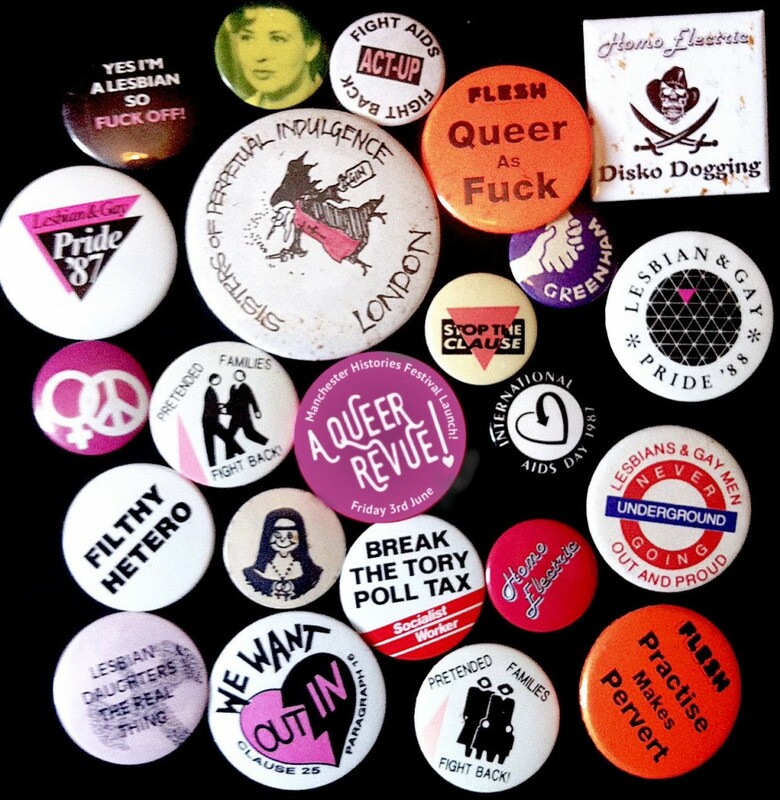 A selection of these artefacts will form the basis of my short presentation to the LGBT History Festival in February. In my talk for I will be examining three key points in the city’s LGBT music history: the birth of punk in 1976; the house music explosion of the early 90s: and the alt-gay scene which developed a decade later as a response to the homogeneity of the music on offer on Canal Street (Manchester’s gay village). Fast forward to 1990 and we see the launch of Manto on Canal Street – a sophisticated European-style bar that deliberately flouted the prevailing ‘behind closed doors’ culture of gay venues by installing full height plate glass windows. Thanks to DJ Tim Lennox, house music took hold at Central Street’s gay-friendly Number 1 Club, which in turn led to the birth of Flesh at the Haçienda – a wildly successfully Ecstasy-fuelled house and garage night flagrantly billed as ‘Serious Pleasure for Dykes and Queers’. It was during this time that the city was dubbed ‘Gaychester’, the first Mardi Gras happened, Canal Street boomed and Manchester City Council truly cottoned on to the potential of the pink pound. Flesh lasted until 1996, spawning many copycat club nights and, along with the Number 1 Club and Paradise Factory, was responsible for the making house music the dominant sound of ‘Gaychester’. But by 1998, some of the same DJs, promoters and club goers that had inspired the house boom were growing tired of the commercialisation of both the scene and the music. At this point, LGBT club nights boasting a more eclectic soundtrack spanning funk, soul, disco, hip hop and indie began to emerge. Club Brenda and Homo Electric were at the forefront of this movement. Like the punk scene that had come before, these clubs celebrated difference, with flyers boasting slogans such as ‘Music is life, gym is the coffin, be ugly‘. As well as flyers, posters, gig tickets and photos, my presentation will include some unseen footage of Manchester’s gay clubs, plus excerpts of oral histories captured exclusively for the festival. 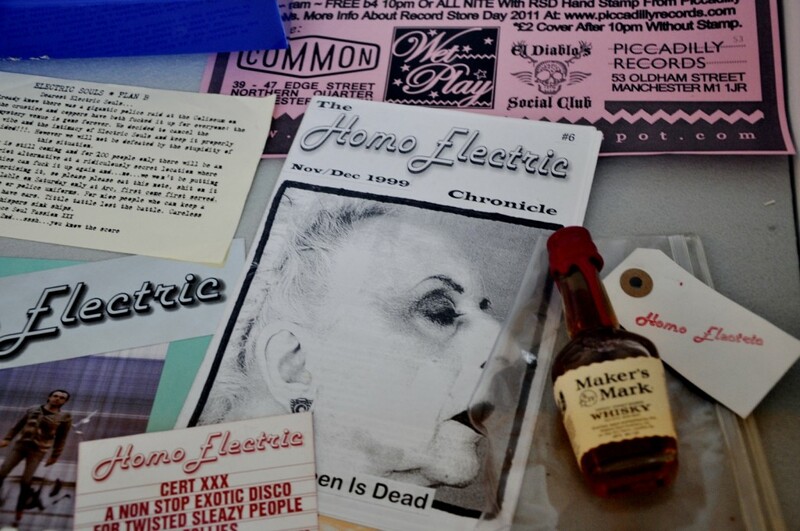 If you would like to add any artefacts or recollections to the Queer Noise online exhibition, please register to become a member of Manchester District Music Archive here and start sharing your history. Alternatively, you can email: info@mdmarchive.co.uk. ‘Hear my voice in your head and think of me kindly’ is a panel event exploring the art of song lyricism, Manchester-style. 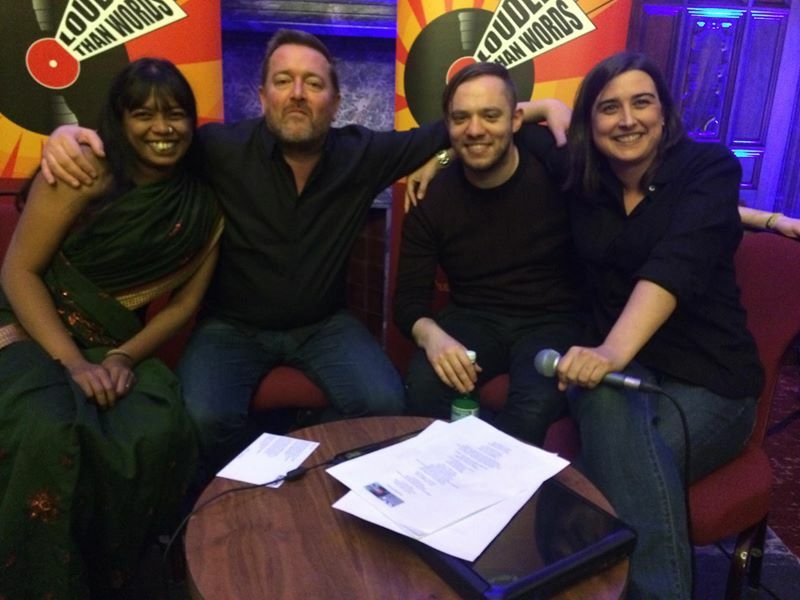 Guest lyricists are Jaheda Choudhury-Potter of Ajah UK, Jonathan Higgs from Everything Everything and Guy Garvey of Elbow. It will reveal contrasting processes, backgrounds and styles whilst exploring Greater Manchester lyricism across the decades. Chaired and curated by Abigail Ward. 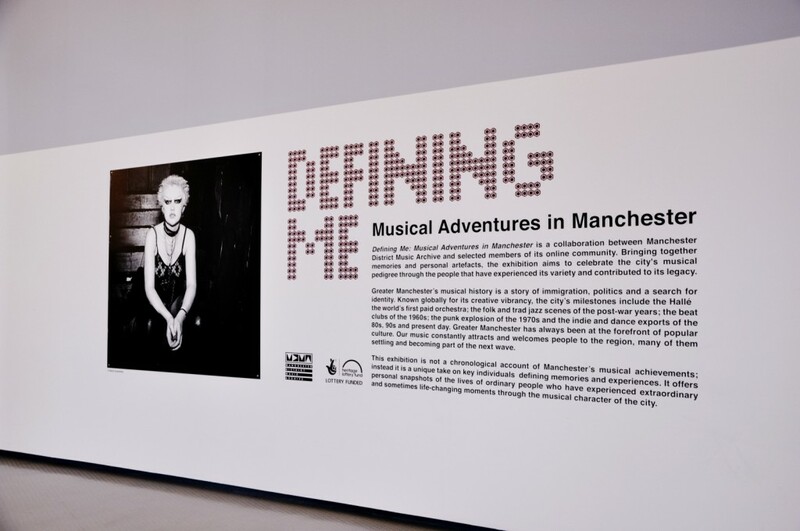 In 2013, following investment from Heritage Lottery Fund, Manchester District Music Archive launched ‘Defining Me: Musical Adventures in Manchester’, a 5-month show at The Lowry co-curated by members of MDMarchive’s online community. The exhibition attracted 32,000 visitors. Speaking at the launch were Abigail Ward (MDMarchive), Ivan Riches (HLF) and Michael Simpson (The Lowry). There were a number of spin-off events featuring Greater Manchester music luminaries in conversation, including Barry Adamson (Magazine, Nick Cave and the Bad Seeds); photographer Kevin Cummins; Manchester punk icons Denise Shaw and Dawn Bradbury; artist and promoter Barney Doodlebug; and Buzzcocks manager Richard Boon. In 2014 the project ended with a community concert at Band on the Wall featuring rave pioneer Graham Massey in collaboration with The Prospectors, a collective of disabled musicians from Stockport.